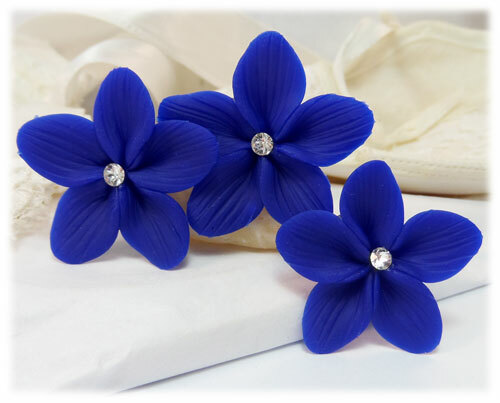 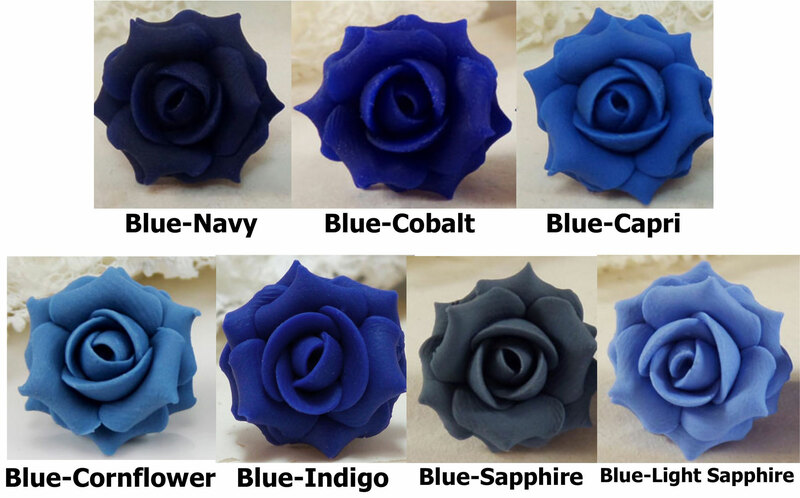 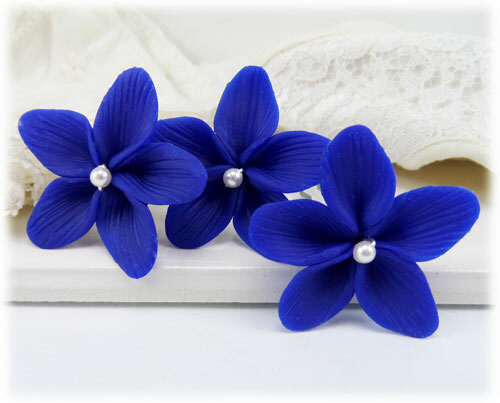 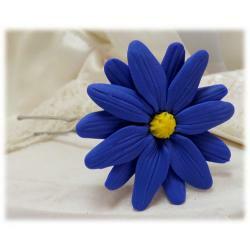 Blue hair flowers handcrafted and available in assorted blue shades and with a Swarovski rhinestone or pearl center. 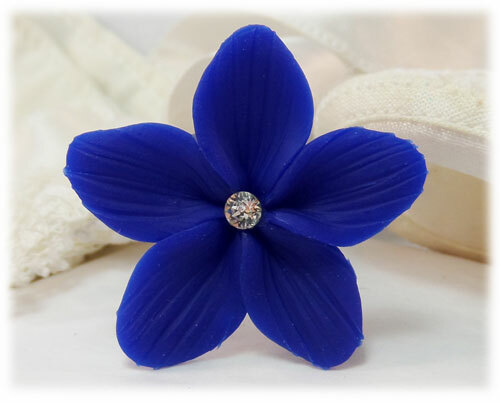 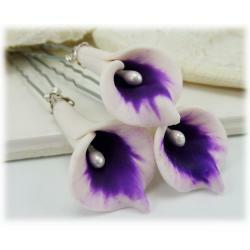 The flower measures approximately 1 1/4 inch (3cm) around. 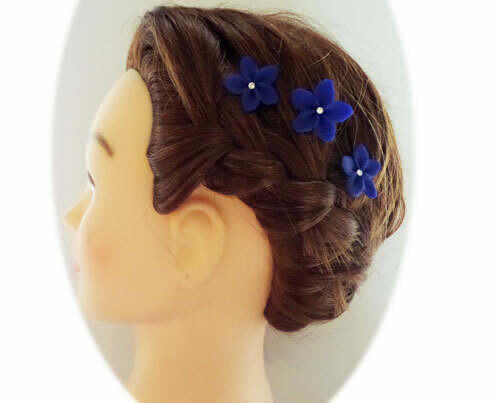 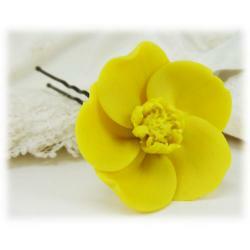 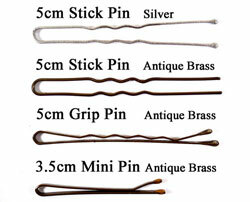 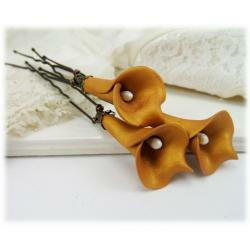 Choose from a variety of hair pin styles.